Moscow Funeral League proudly presents «Verferum» — a new full-length album by funeral doom Avant-gardists QUERCUS! Format: CD (jewel box), 16-pages booklet. ‘Verferum’ is an ode to what seems to be never-ending and reveals itself to be short and finite. Memento mori. We take funeral doom as a rite. It is a magnificent shrine in a beautiful wild nature which we enter with sacred fear. The church organ is an instrument of celebration of the moments like this. Organ as a brutal mass bearing the guitar and vocal compositions, organ as an ethereal sigh, distant chants. Sharpened senses. Hope. Atonement. Waiting. 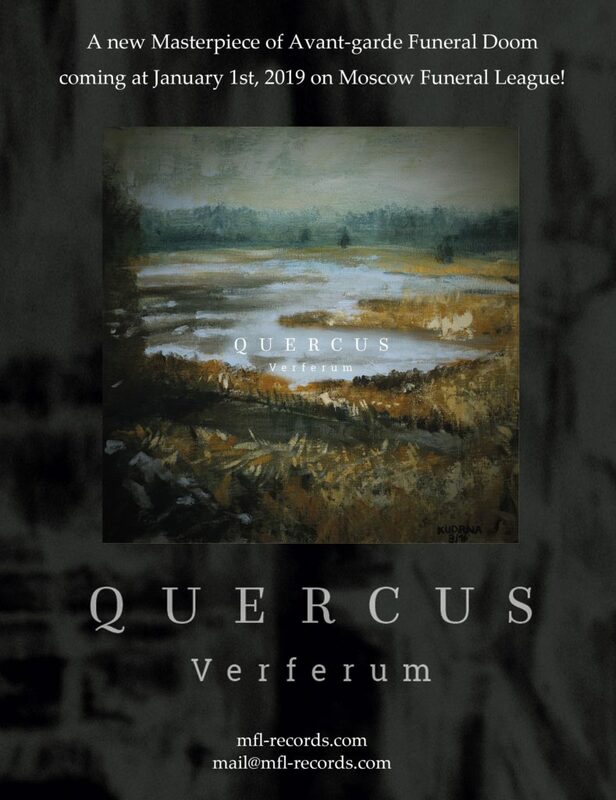 From Pilsen, Czech Republic, here you are astonishing pipe organ infused atmospheric avant-garde funeral doom band Quercus with a Masterpiece song off their incoming full-length “Verferum”, out January 1st 2019 through Moscow Funeral League! 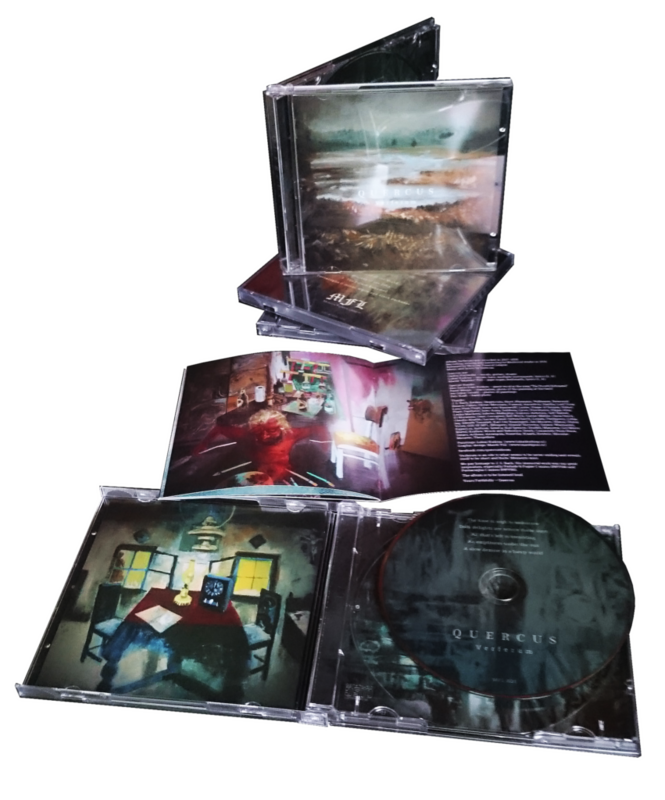 The colossal split album between England’s Eye of Solitude and Belgium’s Marche Funèbre is now available on audio cassettes! 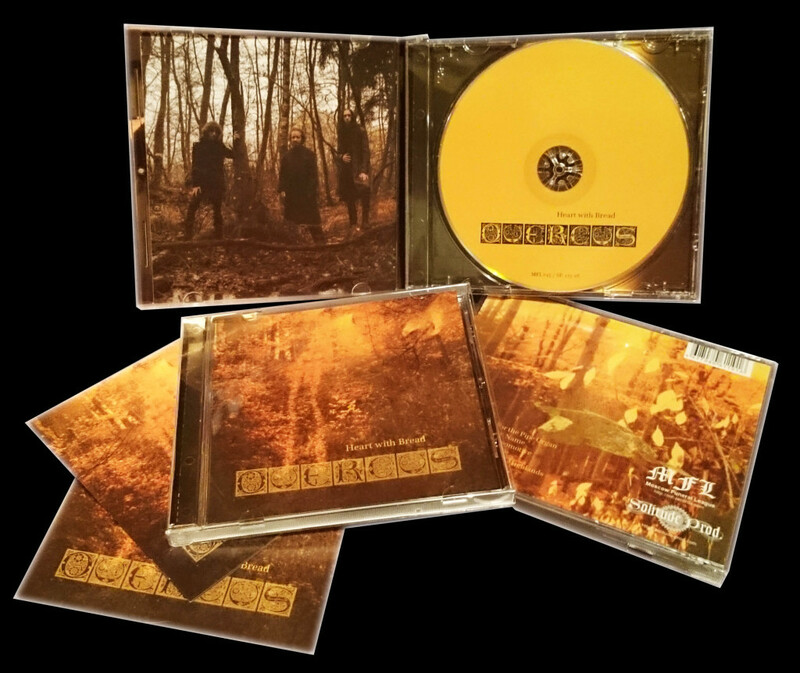 Initially released by Hypnotic Dirge Records and Cimmerian Shade Records in February 2018 on CDs, this album is now available on audio cassettes via MFL-Records! 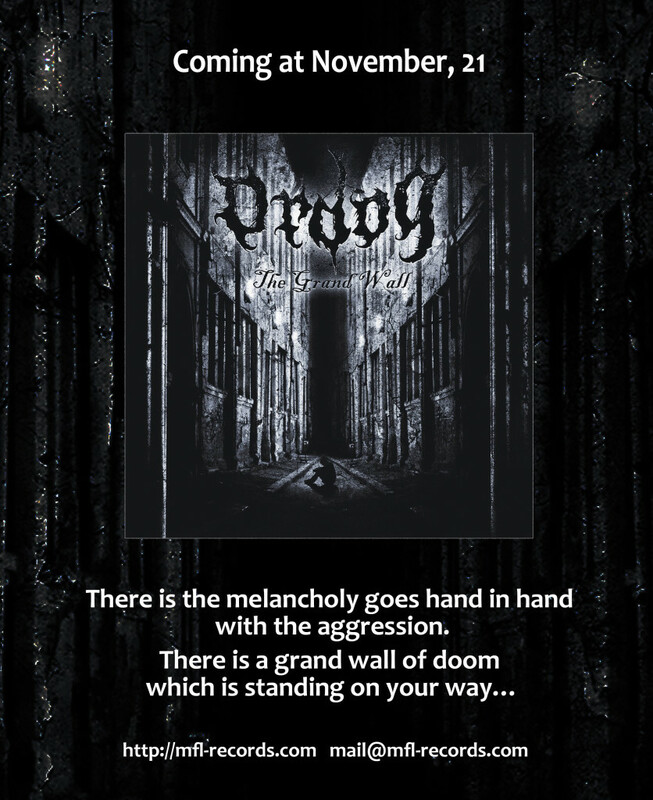 This split album features one song from each band, for a total of over 30 minutes of bleak funeral and doom-death metal. 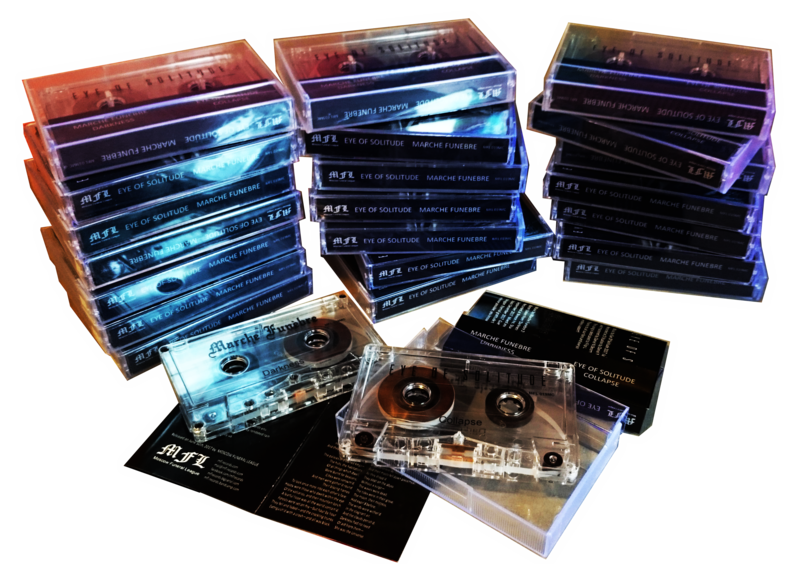 The album is available in audio cassettes limited edition of 100 copies! The debut mini-album of the Spanish band FUNERALIA is out now! Moscow Funeral League presents “Where Death Is My Hope “ — the debut work of the Spanish band FUNERALIA! We can definitely recommend this mini-album, performed in best traditions of slow death / doom of early nineties of the last century, to all connoisseurs of Visceral Evisceration and early Celestial Season! It is a baroque and an atmospheric musical material, adorned by dialogues between the heavenly soprano and the excellent (female) growls. This is the first album released by the Moscow Funeral League, published on audio cassettes! 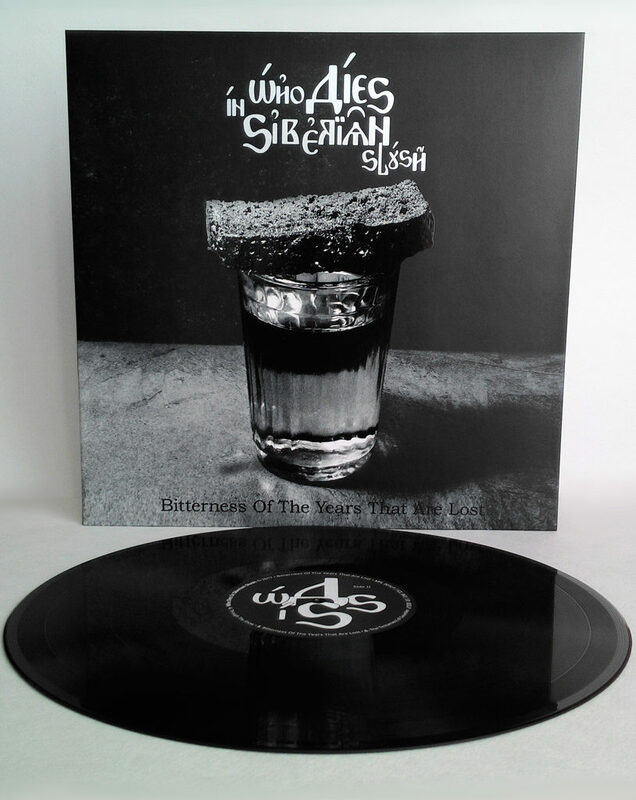 The third album by Belgian Marche Funèbre is OUT! Cat. number: MFL 017 / BMM. 079-17 / FZL 055. Format: CD (jewel box), 5 tracks. Co-release by Moscow Funeral League, BadMoodMan Music and Frozen Light. 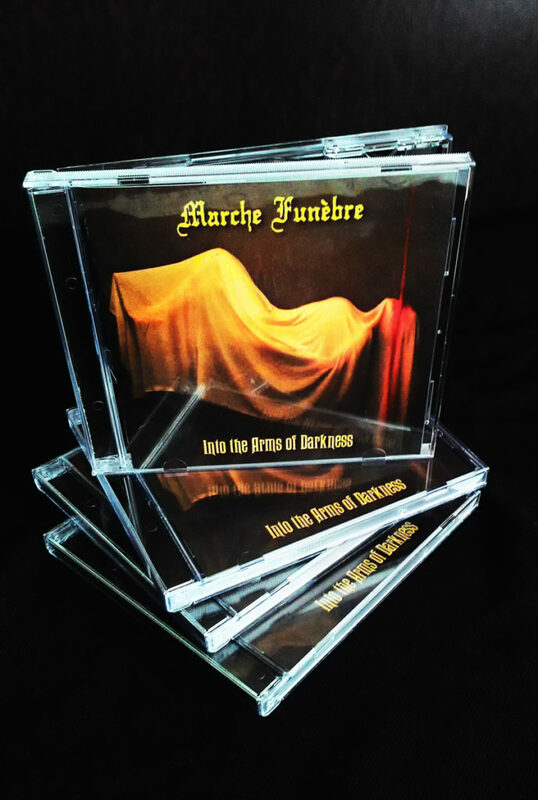 The third full-length album by Marche Funèbre is coming soon! Marche Funèbre is an eclectic death doom band from Belgium founded in 2008 in the city of Mechelen. 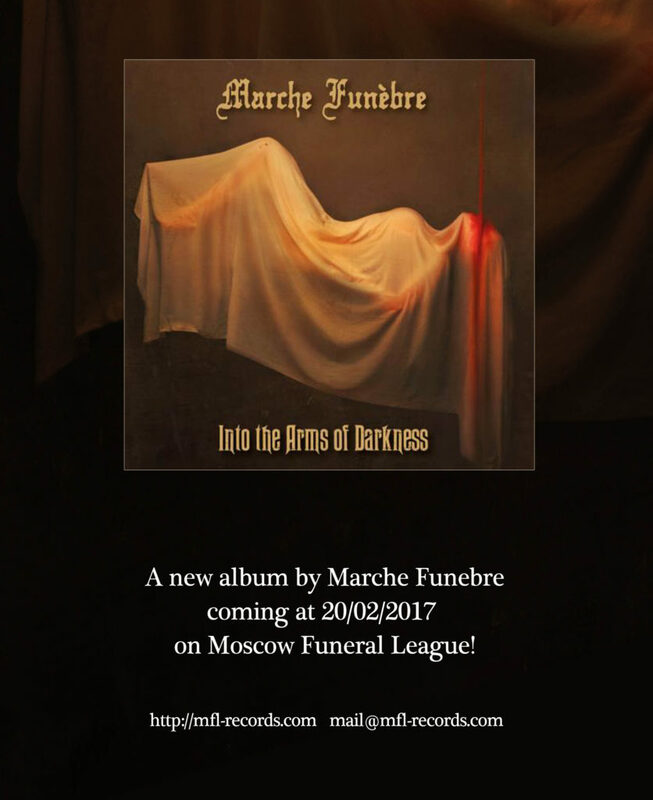 “Into the Arms of Darkness”, Marche Funèbre’s third album, is a stepping stone in the band’s discography. It combines a massive production with matured song writing, polished through the years while preserving the same passion and energy as ever. 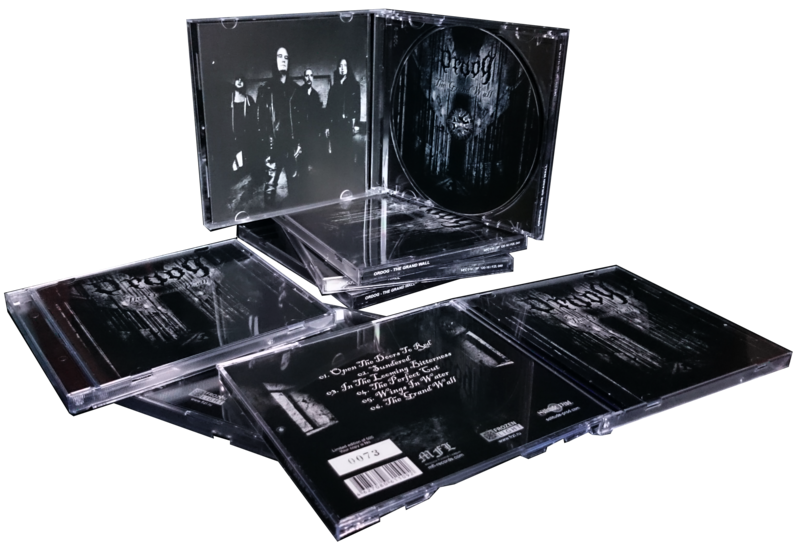 Compared to band’s previous work, the new material also incorporates additional Black and Post-Black Metal influences. A new album by Finnish death-doom masters ORDOG is OUT! Format: CD (jewel box), 8-pages booklet. 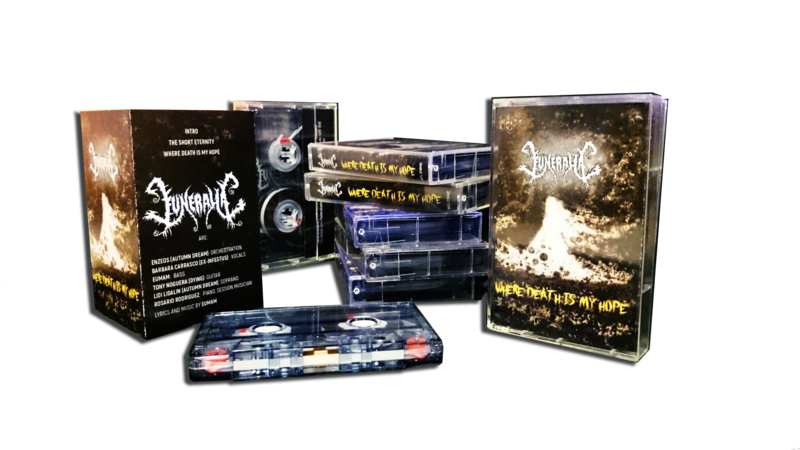 Co-release by Moscow Funeral League, Solitude Productions and Frozen Light. A new album by ORDOG (death doom, Finland) coming soon on Moscow Funeral League / Solitude prod. / Frozen Light! Moscow Funeral League in association with Solitude Productions presents «Heart With Bread» — a new full-length album by funeral doom Avant-gardists QUERCUS! QUERCUS: «We are looking up to the nature and life, we are looking up to the pipe organ, to the instrument of thousand voices. Symbols of passing time and eternity. Touches of aeons. We feel the need to celebrate both of these elaborated mechanism, nature and organ. In the temple we find nature, in the nature we find the temple. Both are transcended by great symphonic harmony. There is also melancholy in our praise, pain and sadness of non-return are parts of our admiration. How helter-skelter and endless the being can be».